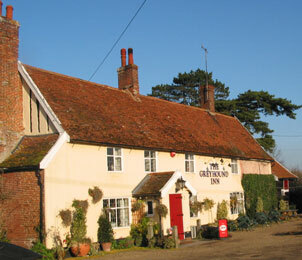 The Greyhound Inn is a grade II listed building thought to have been built in late medieval/Tudor times. It is timber framed, colour washed and probably originally thatched. There is a suggestion that it might have been a priest's house or used by another important village person as it is a building where Manor Courts were held in the 18th century and also inquests in the 19th century. Often when an inn is next to a churchyard it is where the beer was brewed and sold to raise money for the building of the church. In 1815 after the battle of Waterloo, a cavalry troop landed at Lowestoft and reached Pettistree late at night. The innkeeper was Abraham Cooper and he roused his children, all sleepy and probably protesting, and sent his son, possibly Abraham, a boy of thirteen, and the eldest of six children to Wickham Market for extra food and supplies for the men and their horses. The officers slept in the children's beds and the troopers and horses bedded down in thick straw laid in the lane outside. The Smith family lived in The Greyhound for 102 years from 1820-1922. The three succeeding generations during that time were all called William. On the western end of the house there was a carpenter's shop. The doorway can still be seen in the brickwork. The Smith family were also the village carpenters and coffin makers. The Greyhound is also reputed to have a friendly ghost. The Three Tuns is a well known landmark on the old A12 London-Great Yarmouth turnpike. 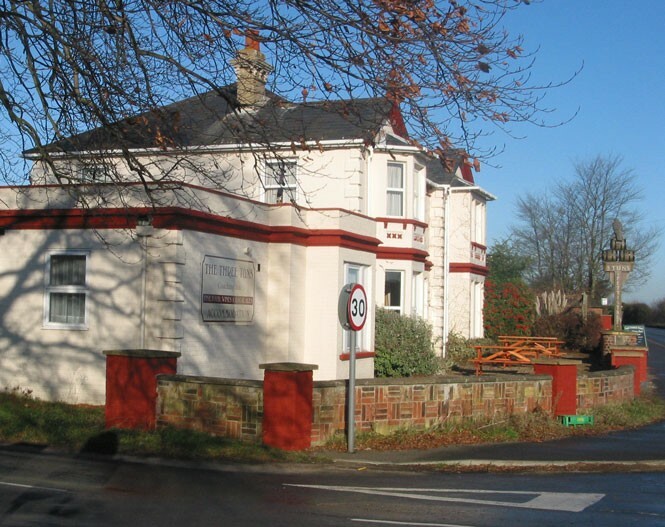 The present building dates from early Victorian times but an earlier hostelry is known to have existed on the site, possibly as early as 1674. In the 1920's there was a garage for repairs and sale of petrol. A useful facility for the many charabancs and coaches that used to 'pull' in . Coaches continued to call at The Tuns until the Wickham Market by-pass was opened in 1976. In 1937 Jean Batten, a famous woman aviator, visited "The Tuns" on her way to Yarmouth. Her record solo flight from Australia to England took 5 days, 18 hours, and 15 minutes. During WWII it was a favourite meeting place for the Americans stationed on nearby airfields.